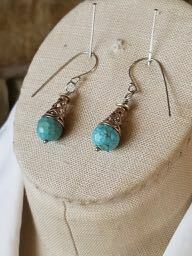 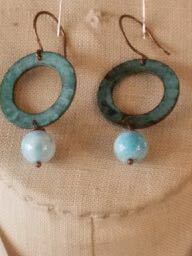 Faceted turquoise and Sterling drop earrings. 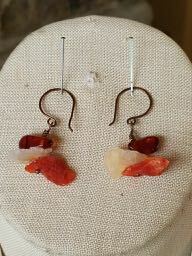 Rough Fire Opal and smooth Amber with copper earwires. 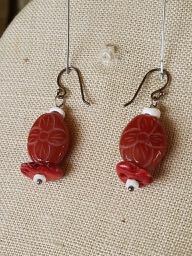 Etched Carnelian, Shell, Coral and Sterling earwires. 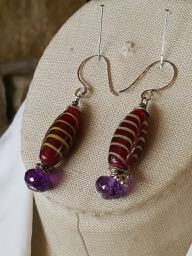 Clay for a cure earrings. 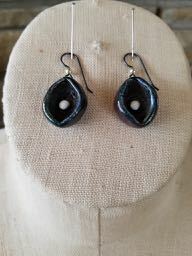 Simple Raku drops on Niobium earwires.